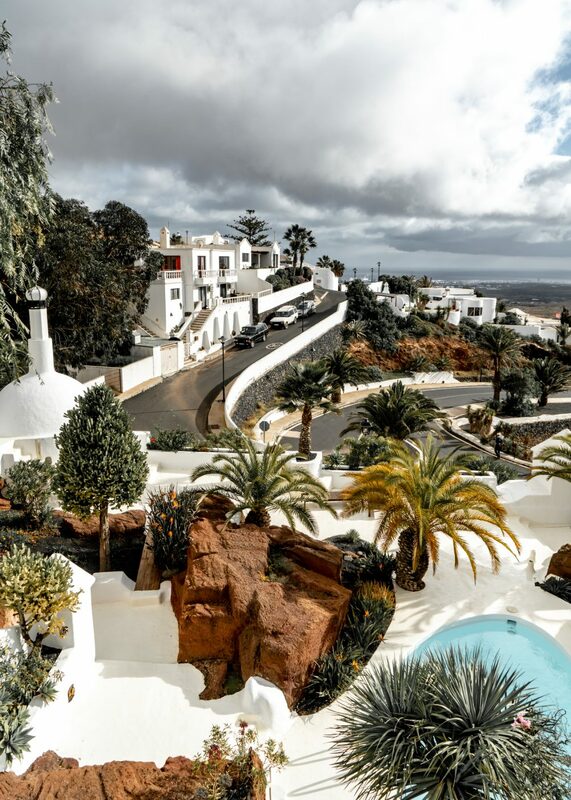 When visiting Lanzarote, you can’t ignore the name César Manrique. Manrique was a Spanish artist and local hero who lived in Lanzarote. Decades ago, Manrique saw the rise of visitors an the potential the island had for tourism. But he wanted to avoid mass tourism and high-rise buildings. Manrique had a major influence on the planning regulations in Lanzarote. Most major attractions on the island are either designed by him or are a tribute to him so the name Manrique is all over the place! 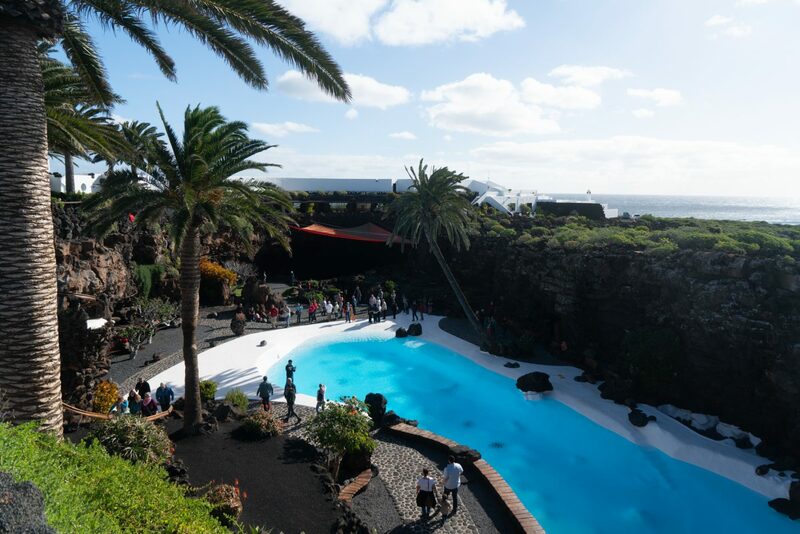 Let’s have a look what are the top Cesar Manrique attractions in Lanzarote. 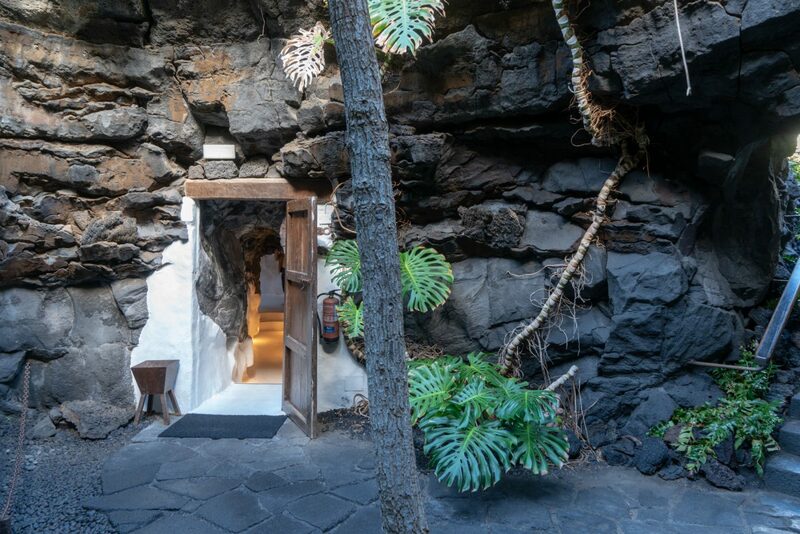 A lava tunnel converted into a high-end restaurant. Oh and it’s designed by Manrique so there’s gonna be a swimming pool of course. 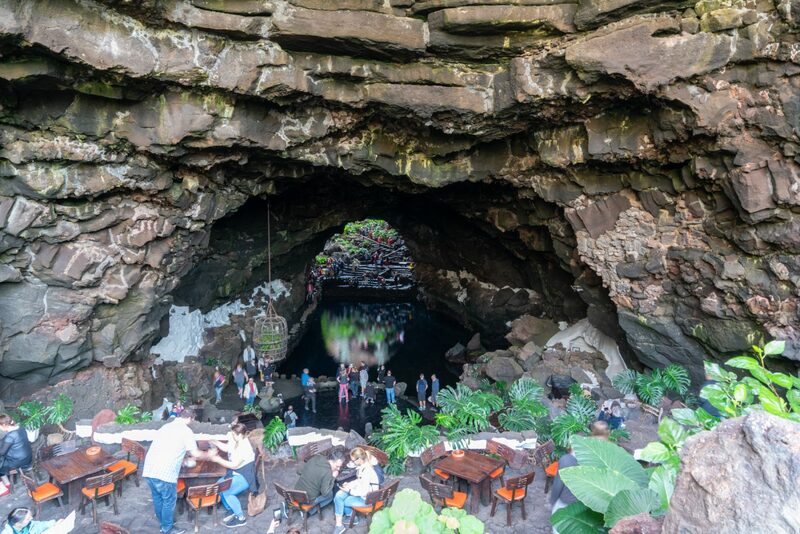 Jameos Del Agua is probably one of the best-known Cesar Manrique attractions in Lanzarote. This inevitably means there will be a lot of tourist buses. You’ll able to see everything without a problem, but a picture without people in it will be harder. For a more intimate experience, book a dinner at night! 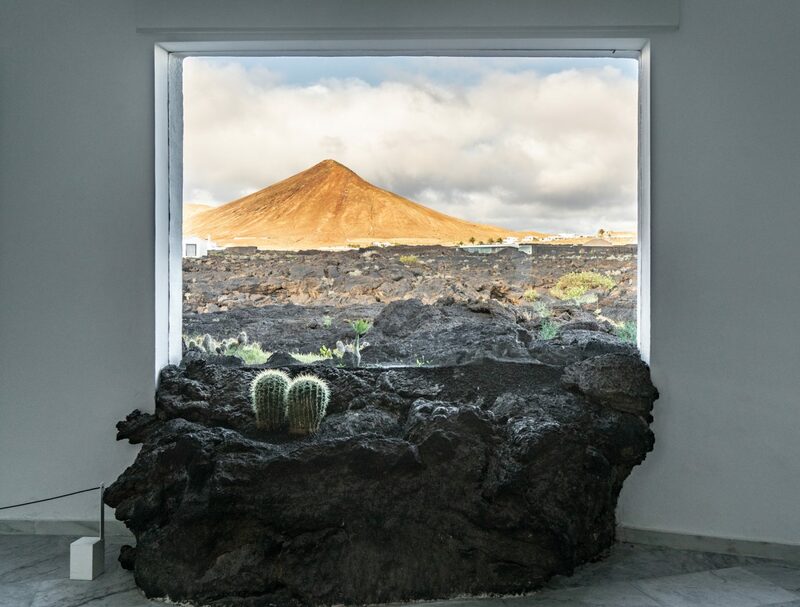 One of the most beautiful places in this list of top Cesar Manrique attractions in Lanzarote. Entry is 6 euro, or 8 euro with a drink included. Museo Lagomar is a private property conceived by Cesar Manrique but designed by his good friend Jesus Soto. Famous actor Omar Sharif once owned it! You can start seeing a pattern here: it’s a house built around a lava cave. Lots of local plants were used to create a lush oasis within the lava rocks. There’s so many little pathways inside the property you can easily get lost, but I’m sure you wouldn’t mind! 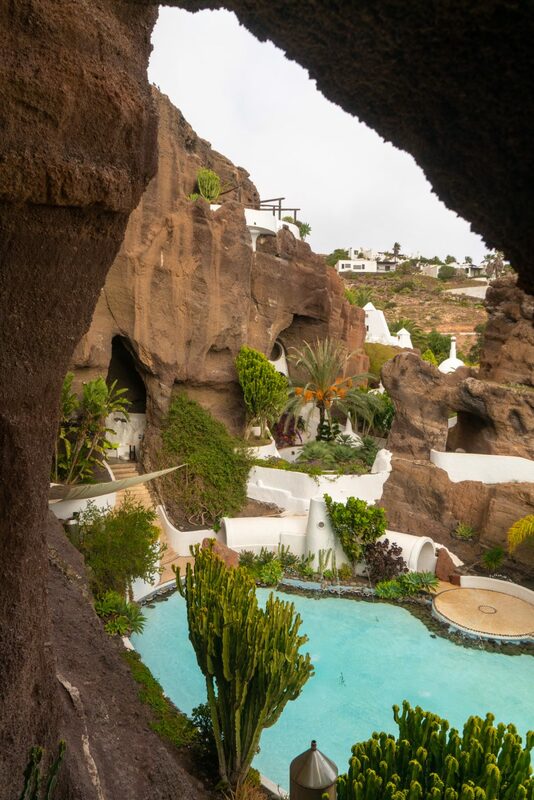 César Manrique bought the grounds from the previous owner who didn’t think much of it. But what is useless for one person, is worth a lot for Manrique! The house he built there is partly built inside – you guessed it – the air bubbles left behind by flowing lava. Now it’s open for visitors, and apart from the many seating areas you can see, a lot of paintings and sculptures from Manrique himself and his private collection can be viewed there. One thing I particularly liked, is the part of the house where the lava has entered through the window! 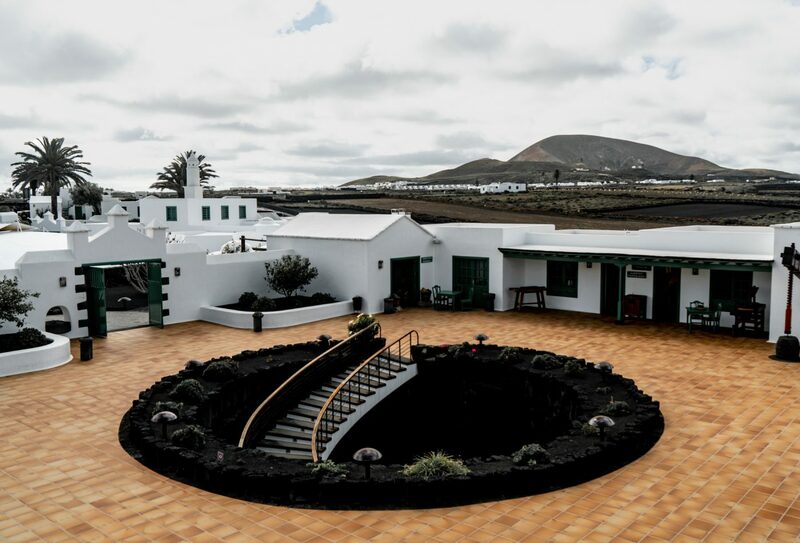 Casa Museo del Campesino is so centrally located in Lanzarote that at one point in time during your, you will surely pass it. 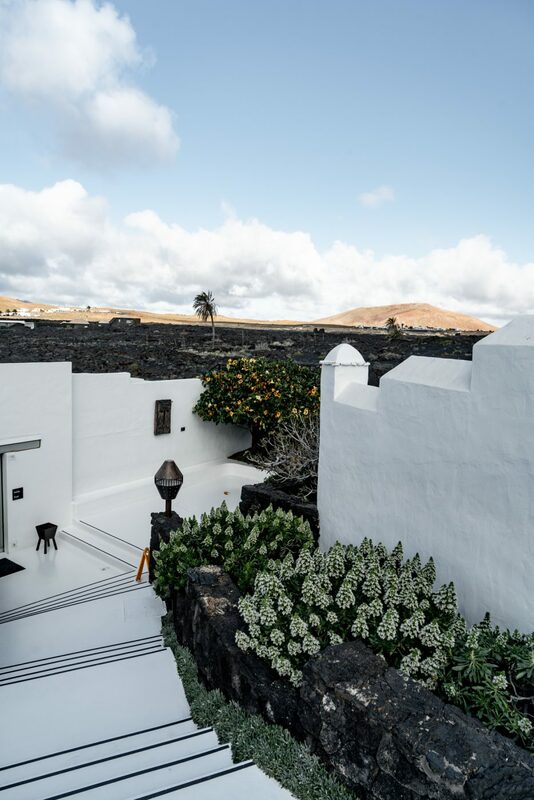 Casa Museo del Campesino consists of a series of buildings with white walls and green wood and serves as a tribute to Lanzarote’s farmers. Besides that, there is also a restaurant serving local food. Next to the museum stands the Monumento Al Campesino, a 15-meter tall sculpture made of boat water tanks, overlooking the nearby crossroads. To make the best picture of the museum, climb up the Monument! High up in the Famara cliffs, at an altitude of around 475m above sea level, lies Mirador del Rio. 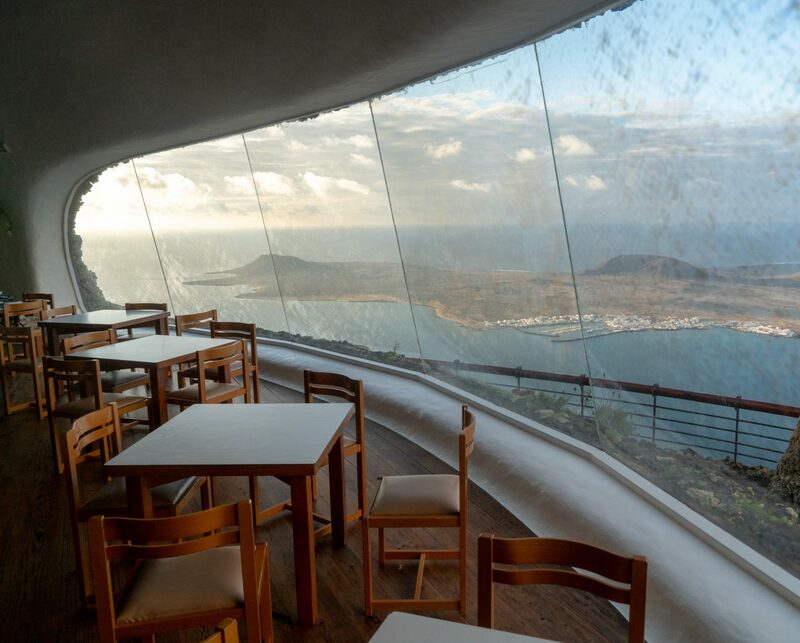 It is offering one of the most spectacular panoramas of Lanzarote. 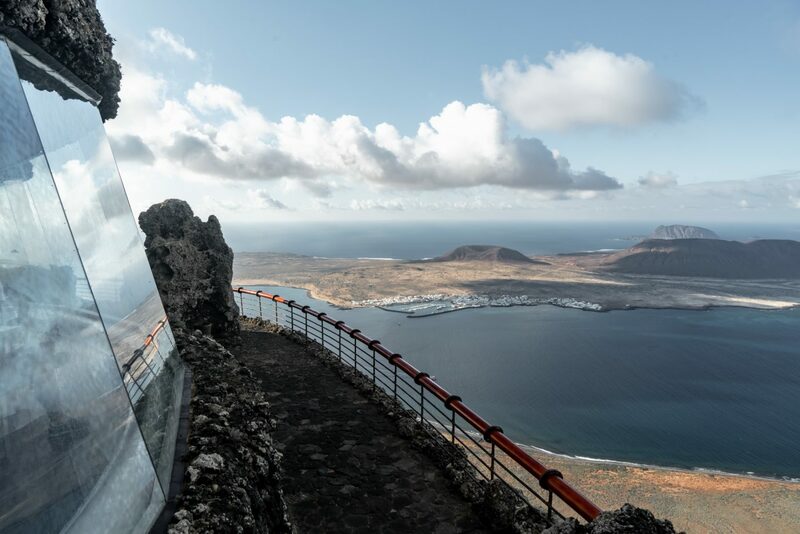 From Mirador del Rio, you can see the entire unspoilt island of La Graciosa. It’s like looking at a postcard! 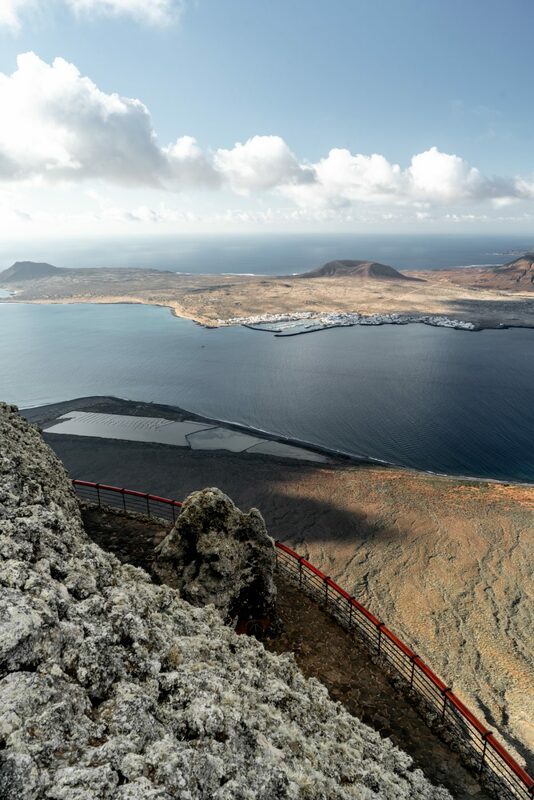 The reason why it is called Mirador del Rio, is because the water between Lanzarote and La Graciosa resembles a river, a rio. If you wanna know all about visiting that lovely little island called La Graciosa, I invite you to read my separate blog post. Entry to the Mirador del Rio is an oddly priced 4,75 euro. Beware, it’s not a museum. Inside is a gift shop and cafeteria where you can enjoy unrivalled views while sipping on a hot coco. You’re paying for the view and that’s worth it. Tip: Go aroun 5PM, that is roughly 45 minutes before closing time. The sun will be at the lowest you can get during opening hours and will be at the correct side of the island, offering the best lighting conditions for your pictures. Villa Delmas is a small boutique hotel, more like a bed & breakfast, in the quiet town of Haria. Arriving in Haria is always a joy: the landscape changes from hilltops to a lush valley full of palmtrees and rich greenery. Tucked nicely between all that green, are a couple of whitewashed housed that form the town of Haria. One of the manor houses is Villa Delmas. 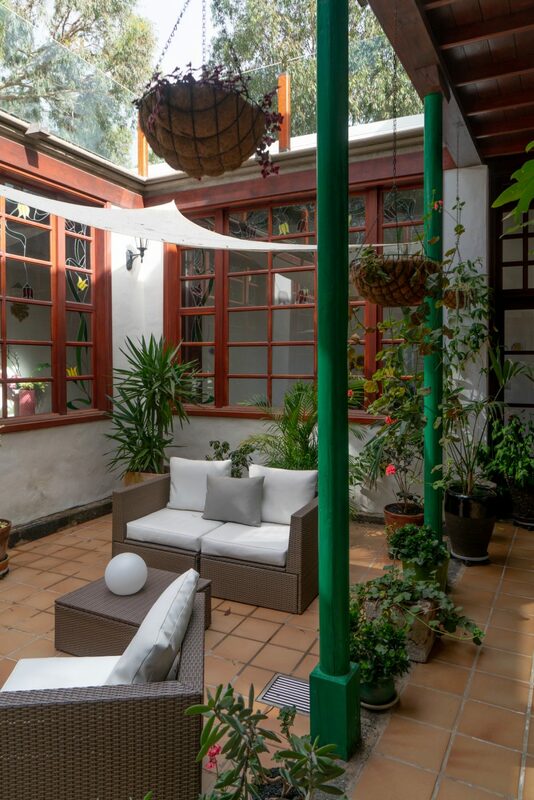 You can read a full review of Villa Delmas in this separate article I wrote, but I think Villa Delmas gives you a great opportunity to stay in a historic house with a direct connection to Cesar Manrique. He was a friend of the family who owns is and designed the pool and garden area! 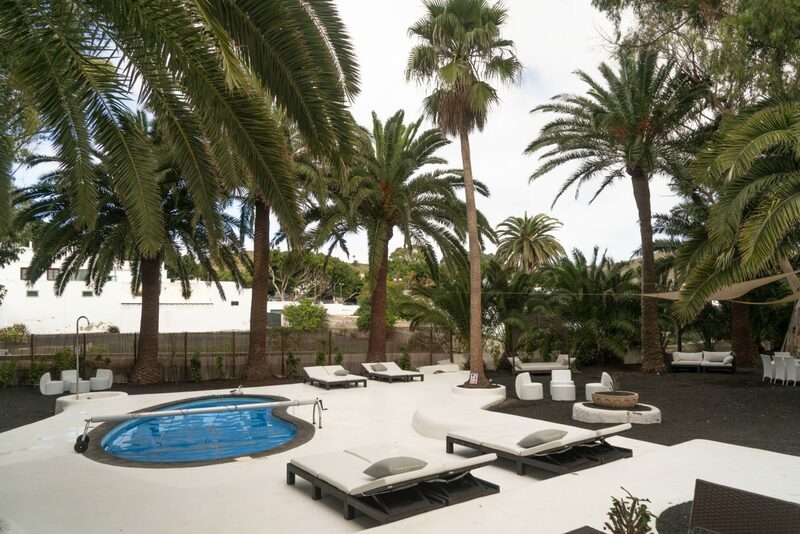 Within walking distance of Villa Delmas in Haria, is Casa Cesar Manrique, another house of the famous artist. Now that you know where to find your daily portion of Manrique on Lanzarote, maybe it’s time to head a little further? 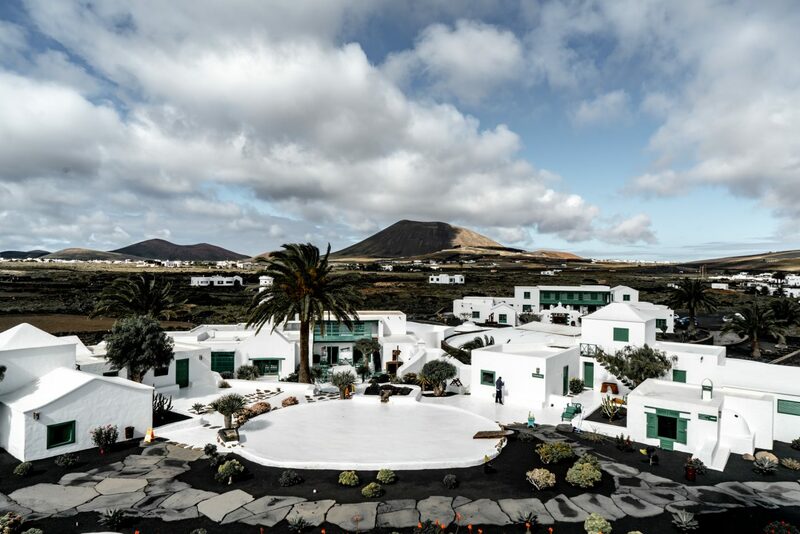 Read along to learn how and why you should visit the nearby island of La Graciosa! Or check out my Instagram (@bengoesplaces) for more inspiration!